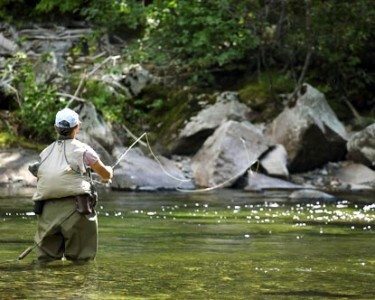 There are currently great dry fly fishing opportunities all around Missoula. With most rivers in the area your best fishing will be during the cooler times of the day, both morning and evening. As water levels continue to drop and rivers are becoming more and more wadable now is a great time to get some fly fishing in. The Blackfoot River: The foot is fishing! The temperatures are starting to hit 70 degrees so be this is becoming a morning and night deal. Dry fly fishing has been great with an assorment of bugs. Golden stones or a chubby chernobyl with a dropper will catch fish all day. PMD’s have been coming off strong and in the mid-morning and the fish are eating them. The evening fishing has really been fantastic with caddis. The Bitterroot: The Root is still fishing very well. As with all local rivers fishing will be best in the morning and evening. Dry fly fishing is still holding strong all along the Bitterroot with the best being PMD’s and Goldens. Running a deep nymph dropper will drastically improve your catch rates on the bitterroot. “The past few days have been decent on Rock Creek, although the spruce moth hasn’t taken hold as quickly as we were expecting. While you’ll see them out, a lot of them haven’t actually flown down to the river yet, so the fish haven’t gotten much of a view on them. That being said, I’d still try the patterns and see if you get risers, because my guess is that they will key onto them. Clark Fork: As with most rivers across the state right now, your best bet for fishing is early and late. Fish are eating dry flies all day and the morning can really be some great fishing. PMDS, caddis, golden stones and hoppers are all working throughout the river. There is good fishing to be had with PMDs, caddis, golden stones and terrestrials pretty much from the minute you put on the water. .